Exchange tokens have started to appear in the second half of 2017 and, even though the concept is still very much new, they have already proven their worth in the case of various exchanges such as Binance, KuCoin, Bibox, Bitfinex, and Huobi, to name a few. This begs the question: “Why don’t all cryptocurrency exchanges have their own exchange tokens?.” In this article, we will answer whether Coinbase should or shouldn’t launch its own token. However, in order to do that, we must first understand what Coinbase is, and look at its advantages and disadvantages. Launched in San Francisco in 2012, Coinbase has since then become one of the world’s leading cryptocurrency exchanges that operates in 32 countries and provides traders with an effortless way of buying and selling crypto. 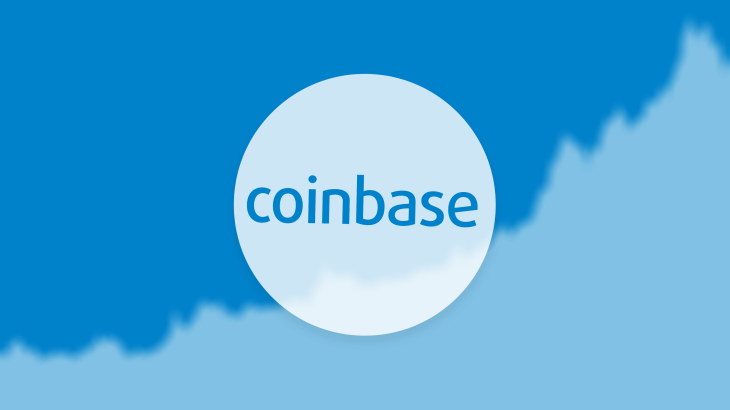 Unsurprisingly, Coinbase is currently among the top-rated crypto exchanges as its ranked 7th on CoinMarketCap, with a total 24-hour volume of $235,086,446. Back in 2013, it was the biggest single exchange and has managed to remain at the top of the industry thanks to its multitude of advantages. For example, Coinbase allows users to trade crypto at a set price that is based on their market value, unlike other exchanges that require users to trade on a specific market. Adding to its value as a service is the fact that Coinbase is one of the few exchanges that support bank transfers as well as credit cards. Fees range from 1.49% to 3.99%, meaning that the exchange service is generally less expensive than other competitors. Coinbase is also regarded as one of the safest crypto exchange platforms available. This is due to a lot of factors, but mainly it’s due to the fact that it is U.S.-based, meaning that it’s required to comply with U.S. State and Federal laws. Its legitimacy as a service is also highlighted by numerous investments received from high-tier financial institutions such as the Bank of Tokyo and BBVA. The service also offers all the standard security features such as 2-factor authentication and IP address notifications in case of “strange” login attempts. Just like all things, Coinbase is not perfect. Even though there have been various complaints regarding the slow customer support, the biggest drawback is its limited number of exchange pairs, especially when compared to other mammoth exchanges such as Binance. What are exchange tokens and what are their advantages? The short explanation is that exchange tokens are a type of stake in a certain cryptocurrency exchange. Their mechanism is a bit different from other general tokenized equities. Exchange tokens are designed to provide their holders with numerous advantages, the primary one being trading fee discounts. To make things more simple, the advantages of exchange tokens differ from one exchange to another. For example, in the case of Bitfinex, the exchange tokens serve to incentivize market orders, to decentralize governance, and to improve the platform’s liquidity. KuCoin, with its KuCoin Shares (KCS), has a different approach. The main goals of KCS is to allow exchange users to take advantage of the profits generated by the exchange, as well as to lower fees. The exchange token’s success can be best viewed by looking at Binance and its BNB token. In fact, Binance’s token was extremely important during the ICO stage, where it helped the exchange secure a top market position. Traders who hold BNB benefit from a 50% discount on all fees in the first year. Binance uses 20% of all profits to buy back BNB with the purpose of burning the tokens. This process will continue until 50% of all BNB tokens will be destroyed. By reducing the circulating supply, Binance ensures that the demand for the token will be increased in the long term. BNB can also be used as “Gas.” The easiest way to get an idea of this process is by comparing BNB to Ether. Just like Ethereum users need to pay Ether in order to use the services of the blockchain, so can BNB holders pay with the token to use the Binance ecosystem. Other advantages include governance rights, meaning that the exchange token users can have a say in various decisions related to the exchange. Some services like Binance offer their users small amounts of various coins as a result of the exchange referral program. If these balances are too small to be traded on the platform, users can convert them into BNB on a daily basis, hence, adding more liquidity. Lastly, most exchange tokens achieve very good ROI for their holders. Even though it might seem that exchange tokens don’t have disadvantages, from an investment point of view, there are some possible concerns. One of the main risks is related to the crypto market’s volatility, which could very well affect the valuation of any exchange token. Their valuation can also be affected by security incidents, even though most serious exchanges take valid precautions against these types of situations. Finally, exchange tokens can be subjected to regulatory compliance, even though most of them are exempt from securities laws. This is something that might very well change in the future resulting in exchange tokens being classified as securities, which could inevitably complicate the whole process. So, should Coinbase launch its own token? That said, answering the question if Coinbase should launch its own token is not as straightforward as it may seem. If done right, Coinbase and all its users should benefit greatly from the launch of an internal exchange token. By launching its own exchange token, Coinbase could very well improve its liquidity, and help incentivize market orders, decentralize governance, improve its users’ loyalty, and help expand its service even more. Finally, by creating its own exchange token, Coinbase could also force U.S. authorities to adopt better regulations regarding this sector. So far, based on the success of various other exchanges that have launched their own exchange tokens, it seems that they represent a powerful way of ensuring long-term user retention which is probably the most important achievement for any service, cryptocurrency exchanges included. To conclude, the simple answer after our analysis would be: Yes, Coinbase should launch its own token. However, there are various aspects that might change due to future regulations. Until then, it remains to be seen if Coinbase is ready to raise the bar and join the ranks of Binance and other big exchanges that have already done so.